Many employers are seeing the benefits of workplace pool bikes; staff satisfaction, reductions in travel time and cost. FCG has been working with The Bike Station to become a Cycle Friendly Employer (and going the extra mile to become a Cycle Friendly Building). As part of this scheme FCG has taken on 5 pool bikes on a 3 month trial for everyone in the building to use. The bikes: Raleigh Pioneer 2 bicycles, fully equipped for everything Scottish weather can throw at them, with full mudguards and a luggage rack. The accessories: A lock and set of lights for each bike, keeping you and the bike safe. The tools and spares: FCG will have spare inner tubes and pumps, for minor repairs and maintenance. The servicing: All bikes are fully serviced before arriving to FCG. The support: FCG staff have undergone training so that they can help tenants get the most out of our bike pool. 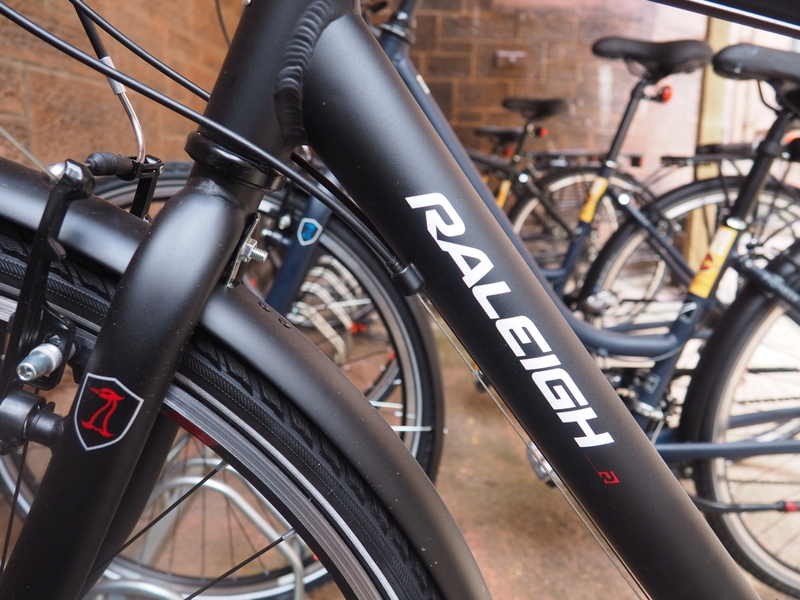 So far there has been a steady 3 bikes booked out each day, we are hoping the warmer weather will encourage more people to cycle to local meetings or just for a lunchtime break from the office. Happy cycling to all our tenants and building users! We hope more venues and business centres consider making pool bikes available for their building users and staff.